Below is a list of my publications on Buddhist and Jain narrative. Pre-print copies of many of the articles can be found on my University of Edinburgh page. 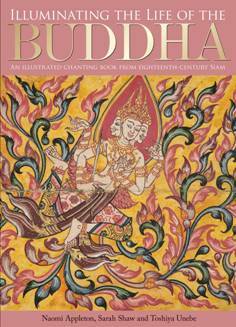 Jātaka Stories in Theravāda Buddhism: Narrating the Bodhisatta Path (Farnham: Ashgate, 2010). Naomi Appleton, Sarah Shaw and Toshiya Unebe, Illuminating the Life of the Buddha: An illustrated chanting book from eighteenth-century Siam (Oxford: Bodleian Libraries, 2013). Naomi Appleton and Sarah Shaw (trans. ), The Ten Great Birth Stories of the Bodhisatta (Chiang Mai: Silkworm Press, 2015). ‘The “Jātakāvadānas” of the Avadānaśataka: An Exploration of Indian Buddhist Narrative Genres’, Journal of the International Association for Buddhist Studies 38 (2015): 9-31. ‘The Multi-life Stories of Buddha and Mahāvīra: A Comparison’, Buddhist Studies Review, 29/1 (2012): 5-16. ‘Dhammapada and Dhammapada Commentary: The Stories of the Verses’, Religions of South Asia 6/2, special issue: ‘Tradition and the Re-Use of Indian Texts’, guest-edited by Jacqueline Suthren Hirst (2012): 245-56. ‘Heir to One’s Karma: Multi-life Personal Genealogies in Early Buddhist and Jain Narratives’, Religions of South Asia 5/1-2, special issue: ‘Genealogy and History in South Asia’, guest-edited by Simon Brodbeck and James M. Hegarty (2011): 227-244. ‘In the Footsteps of the Buddha? Women and the Bodhisatta Path in Theravāda Buddhism’, Journal of Feminist Studies in Religion, 27/1 (2011): 33-51. ‘A Place for the Bodhisatta: the Local and the Universal in Jātaka Stories’, Acta Orientalia Vilnensia, 8/1 (2007): 109-122. ‘The story of the Horse-King and the Merchant Simhala in Buddhist Texts’, Buddhist Studies Review, 23/2 (2006): 187-201. ‘The Buddha as Storyteller: The Dialogical Setting of Jātaka Stories’ in Laurie Patton and Brian Black (eds), Dialogue in Early South Asian Religions: Hindu, Buddhist, and Jain Traditions (Farnham: Ashgate, 2015), 99-112. ‘Continuity or Chaos? 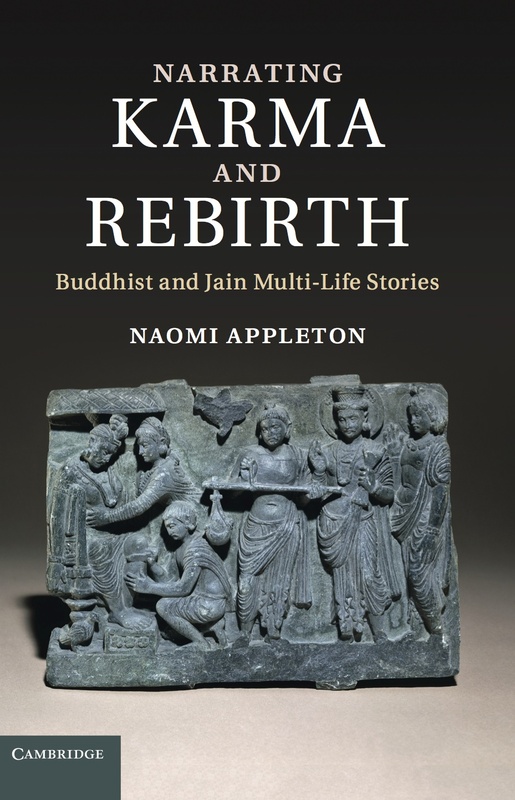 Karma and Rebirth in Early Buddhist and Jain Narrative’ in Justin McDaniel and Peter Skilling (eds), Buddhist Narrative in Asia and Beyond (Bangkok: Chulalongkorn University Press, 2012), 165-72. ‘Temptress on the Path: Women as Objects and Subjects in Buddhist Jātaka Stories’ in Pamela Anderson (ed.) New Topics in Feminist Philosophy of Religion: Contestations and Transcendence Incarnate (Dordrecht: Springer, 2010), 103-115. ‘Jātaka’ in Oxford Bibliographies Online: Buddhism, edited by Richard Payne (New York: Oxford University Press, 2011).